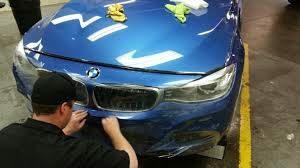 Advanced Clear Mask has been installing clear bras/masks, and exciting paint wraps on new and used cars at car dealerships for the past 16 years. Now you too can have these revolutionary new products installed on your own new or used car… We will even come to you! The whole process takes only a couple of hours, and it can be done at your home or workplace. 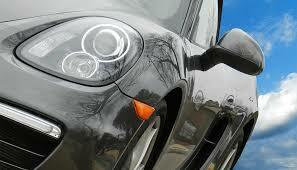 You can also bring your car to one of our conveniently located shops. What is it? Originally developed for military applications, the history of paint protection film speaks to it’s toughness… Commissioned by the Army; 3M created a solution to helicopters receiving damage to rotor blades by ground debris. The protective film was later adopted by NASCAR as a safety measure to keep broken pieces attached to the cars during major impacts, as well as protect the race car from having to be painted after every race. 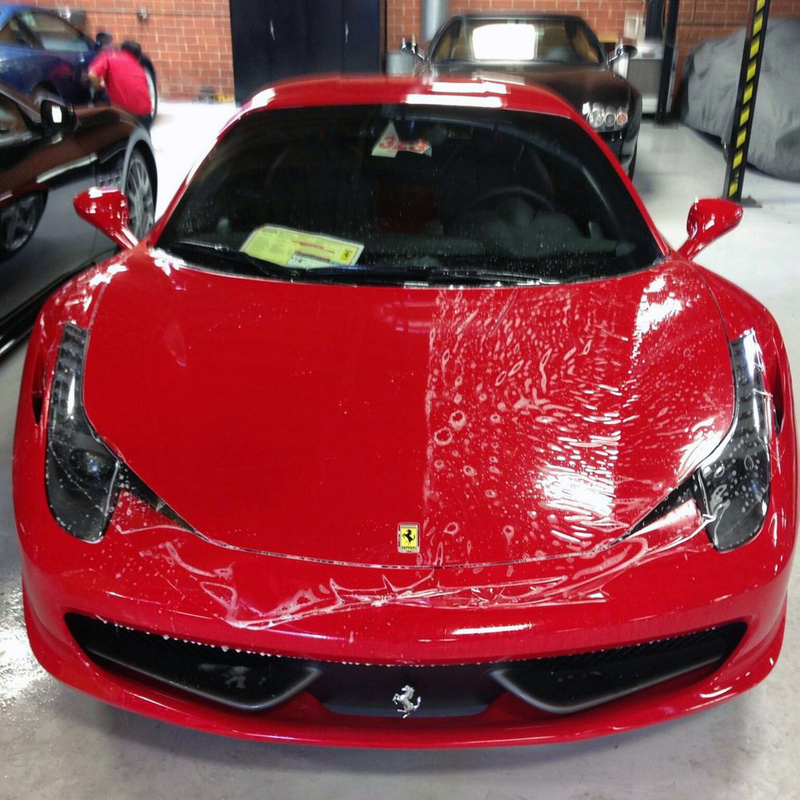 ACM is a leader in the industry; we only use the best quality paint protection film available ensuring a quality, precise installation. Advanced Clear Mask does not use pre-cut paint protection kits; instead ACM only uses the finest films and wraps and custom applies them. A durable Advanced Clear Mask is one of the best ways to preserve the showroom quality finish and value of your vehicle. 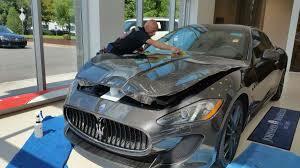 The added value when you trade or sell your car can pay for the cost of an Advanced Clear Mask many times over. It just makes sense! 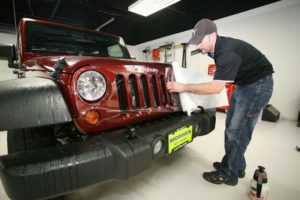 With over 33,000 installed clear masks, our Installers are all 3M certified; in addition to their certifications, our installers have over 25 years combined experience working with every brand of paint protection film and paint wraps, and nearly every make and model of car, truck, and SUV. 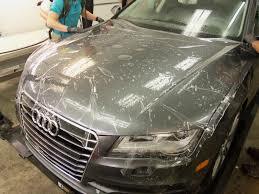 Advanced Clear Mask has been installing clear bra applications, and exciting paint wraps on new cars at car dealerships for the past 16 years. Now you can have these revolutionary new products installed on your own new or used car… We will even come to you! 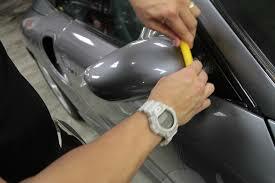 Clear Bra 3M Paint Protection Film applications on every make and model of car, truck, suv, motor home and motorcycle. Car Wraps of all styles and finishes including; camouflage, chrome, matte finish, vinyl dip colors and carbon fiber vinyl. Please contact us at 303-419-2411 or complete the contact form below. Our product includes a limited LIFETIME warranty provided by Advanced Clear Mask for the original purchaser. This product is protected from peeling or discoloring due to a manufacturer’s or installation defect. The Warranty is Void upon transfer of vehicle ownership. Any peeling, discoloring, or other damage caused by neglect, misuse, or external forces is the responsibility of the owner and will void the warranty. Advanced Clear Mask shall not be liable for any loss or damage, consequential, direct, or incidental resulting from the use of our products. Do not use rubbing compounds or harsh chemicals on the film. Hand waxing over film is acceptable. A slight orange peel finish to the film is normal. On white finishes, the film can slightly change the appearance of the color, but should not yellow. Generally, anything unnoticeable from four to five feet is considered acceptable.